From downtown Montreal access Avenue du Parc, then left to Cote St. Catherine. Turn left onto Boulevard Mont-Royal then follow chemin de la foret into the cemetery. 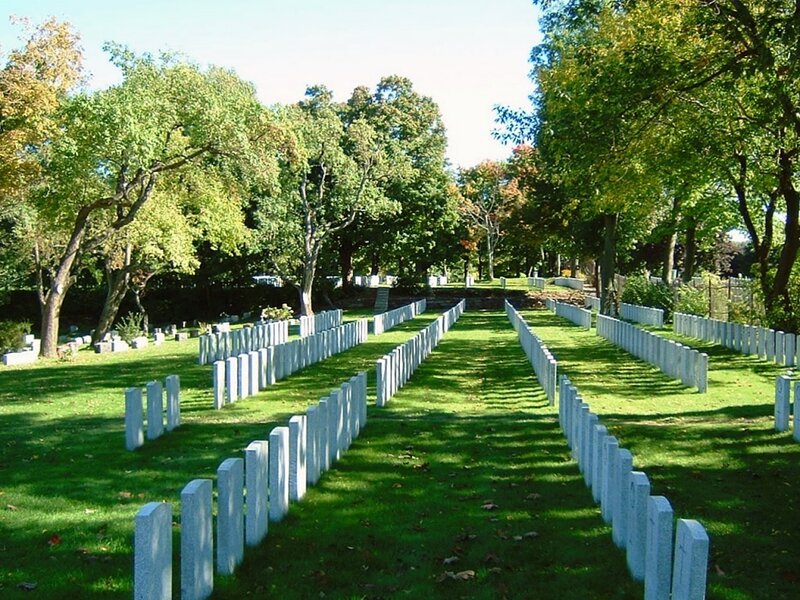 Visiting InformationThe cemetery grounds are open for visitation from sunrise to sunset. The on-site cemetery office is open Monday to Friday, from 8:00 a.m. to 5:00 p.m.
During both wars, Montreal was the headquarters of No.4 Military District. 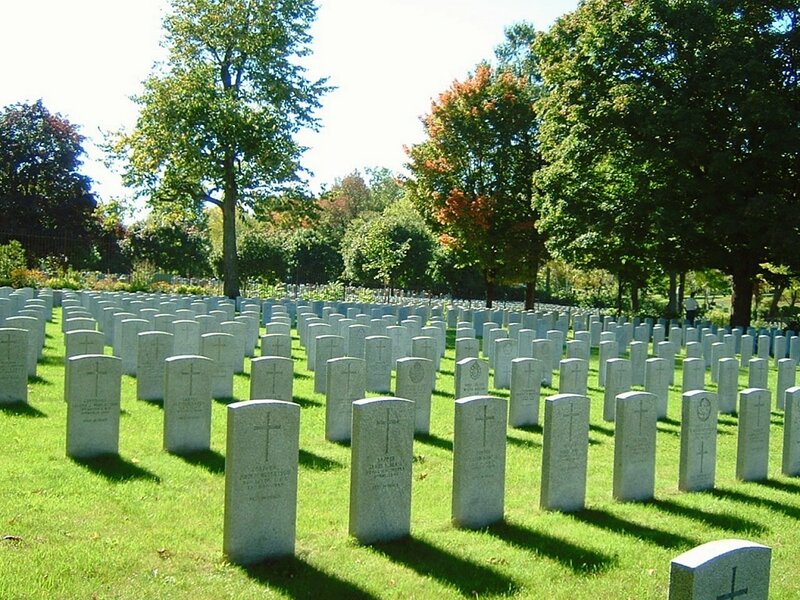 The city had seven military hospitals with more than 900 beds during the First World War and during the Second, the Royal Air Force Ferry Command had its headquarters at Dorval Airport and there was a Royal Air Force Station at St. Hubert. 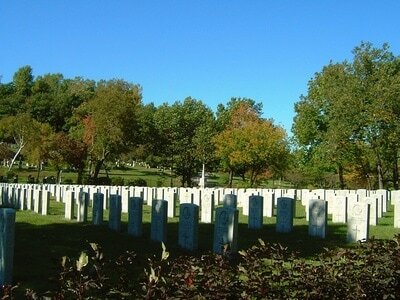 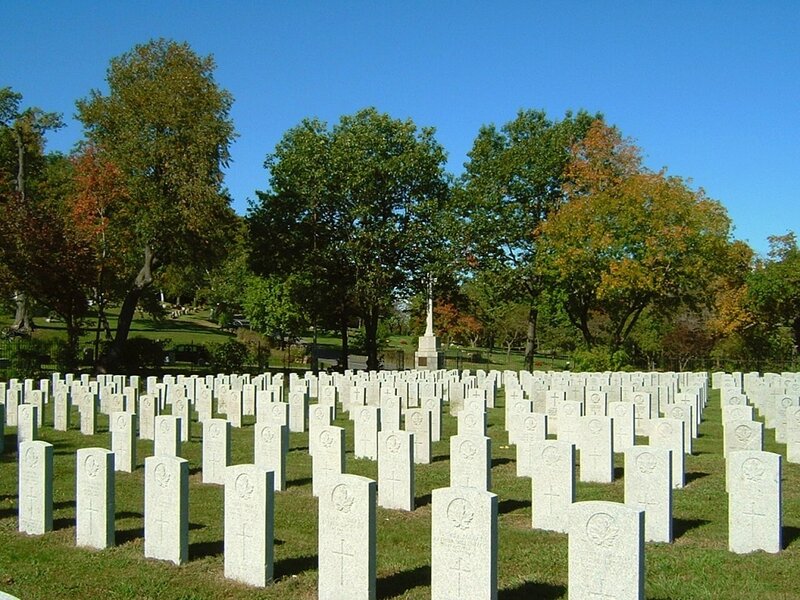 Montreal (Mount Royal) Cemetery contains 276 Commonwealth burials of the First World War and 183 from the Second, most of them forming two war plots in Section G. A Cross of Sacrifice stands on the boundary between this cemetery and the adjoining Nortre Dame Des Neiges Cemetery.